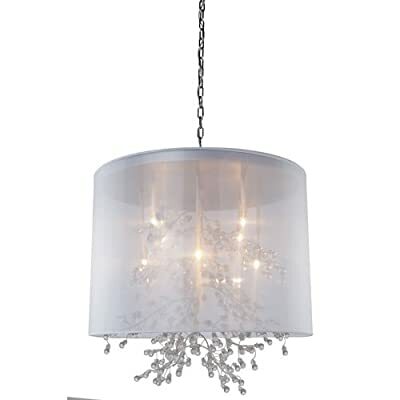 Beautiful organza shades, with organically shapes branches that have glass jewels. Perfect for the foyer, dining room, den and more. Requires 8 50-Watt bulbs with a G9 base. Dimensions: 24.5-Inch long, 24.5-Inch wide and 24-Inch high. Fashionable and functional design.